From time immemorial, poets and philosophers have looked in awe and wonder at the Universe. Such awe is shared by astrophysicists, too, as they seek to understand its nature, and whether it has any limits. 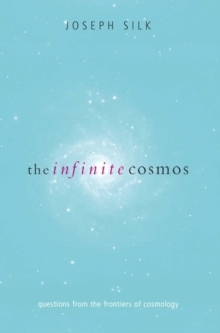 In The Infinite Cosmos, Joseph Silk, Savilian Professor of Astronomy at Oxford University, cosmologist and well-known science writer, brings together the modern understanding of the Universe, its structure, its evolution, and its possible fate, combining the latestfrom theory and observation. The narrative is peppered with quotations from literature and philosophy, and reflects, too, on the process of scientific discovery, and the implications of our discoveries.